Have you been looking for in-ear headphones that look and sound good? This Cult of Mac Deals offer brings you modern design that you can hear. The New Spark Hi-Def In-Ear Headphones deliver full, resonating bass, intense mid-range, and clear, defined treble sure to bring a smile to any audiophile’s face. With precision acoustics, unique, modern design, and precise ergonomic fit, these headphones come ready to play and your going to love what you hear! And the pricing – only $37.99 – can’t be beat! Please note: The sale price includes free shipping to the countries listed in the terms and conditions on the Deals page. With an In-line microphone and remote controlling music playback and answering/ending phone calls with the built-in microphone is easy. The remote and microphone funcion is compatible with iPhone, iPod, iPad and most smartphones and tablets with 3.5mm jack. You’ll also get a premium leather carrying case, three pairs of ear-tips (in small, medium, and large sizes), and an in-line clip as part of this offer. These headphones are loaded with great new features that you can hear! With precision acoustics, hi-def drivers that deliver powerful and accurate acoustics and special high definition acoustic filter, resulting in a full, explosive bass, intense mid-range and clear treble frequency response that will put a smile on your face everytime the music plays. So don’t delay. 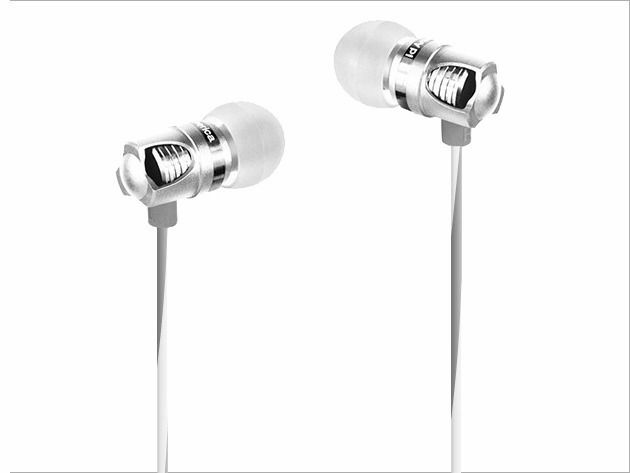 Get a pair of Spark Hi-Def In-Ear Headphones for just $37.99 from Cult of Mac Deals today!